Today, we are about to surprise you with 35 teen bedroom ideas that will surely blow your minds with their sassy decor and cool furnishings. 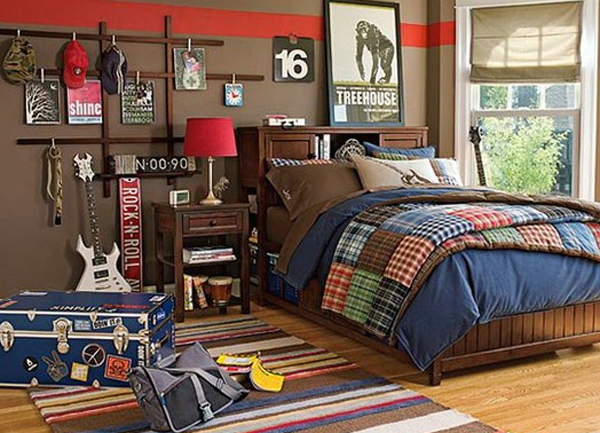 A teen’s bedroom, whether it be for a boy or a gal, must look fashionable from every nook and corner. Just keeping a cool bed in your teen’s bedroom will not bring a happy smile on his or her face. You, as a parent have to stylize the bedroom with the most modern teen bedroom decorating ideas that find mention in many websites and interior decorating magazines. 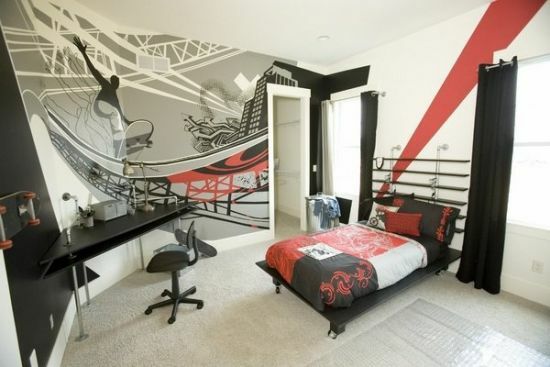 Here, we have handpicked these coolest teen bedroom decor ideas to inspire you. Go ahead and enjoy! Teens and music have a special bond. 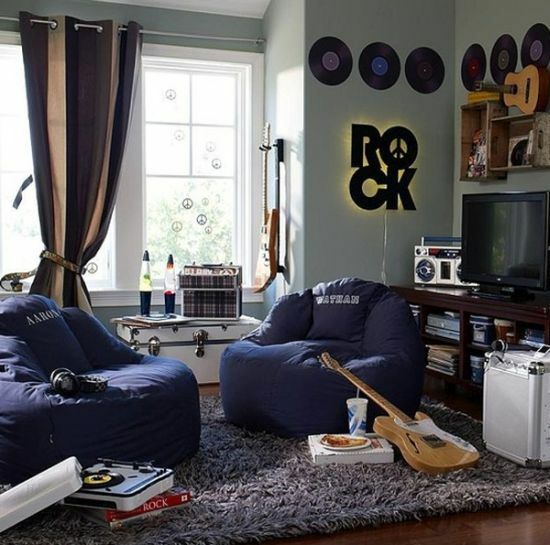 Music is a cult thing for most teenagers and what better way to decorate their bedrooms than aborning the various nooks, corners and walls with musical themed decor ideas! 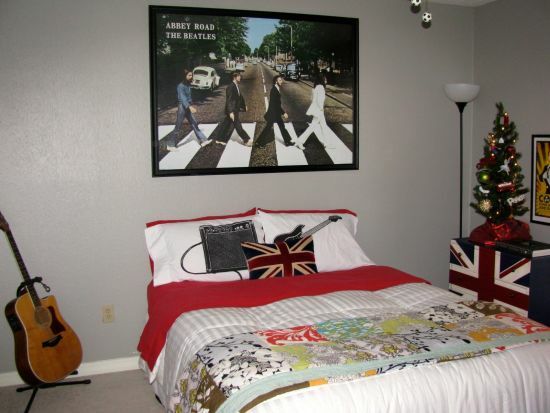 When it comes to gussying up your teen boy’s or girl’s bedroom on musical lines, there are endless options available to you, like using guitars and other musical instruments to deck up the study corners or bunk beds, posters of famous singers or pop groups like Beatles that can be adorned on walls, and accented walls with cds and LPs plastered to create a fun look. Some innovative teen bedroom decorating ideas will also offer you ways to decorate your teen’s bedroom with musical wallpapers with images of musical notes and album covers. 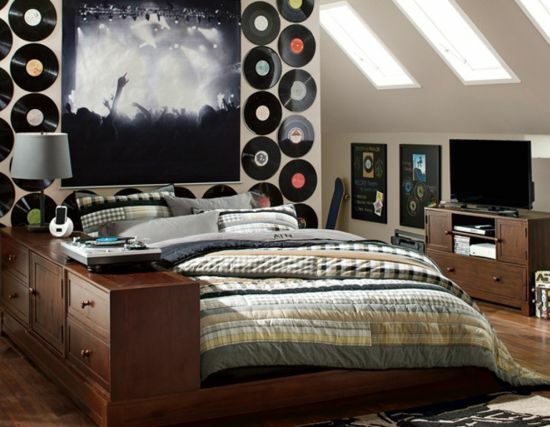 If you look below at the rocking teen bedroom ideas with musical theme, you would find your jaws dropping at the uniqueness of each bedroom. While some have their walls decorated with LPs and music icon posters, others have real guitars installed to add style and more punk. Even the bed covers can be themed on musical lines to look sassy and chic. Teens are a time when you want your private room to bear all the vibrant colors of this planet and there isn’t a better way than decking up a teens bedroom than adorning the walls with the most fresh and bright shades of red, maroon, yellow and practically any color that brings liveliness and cheer. 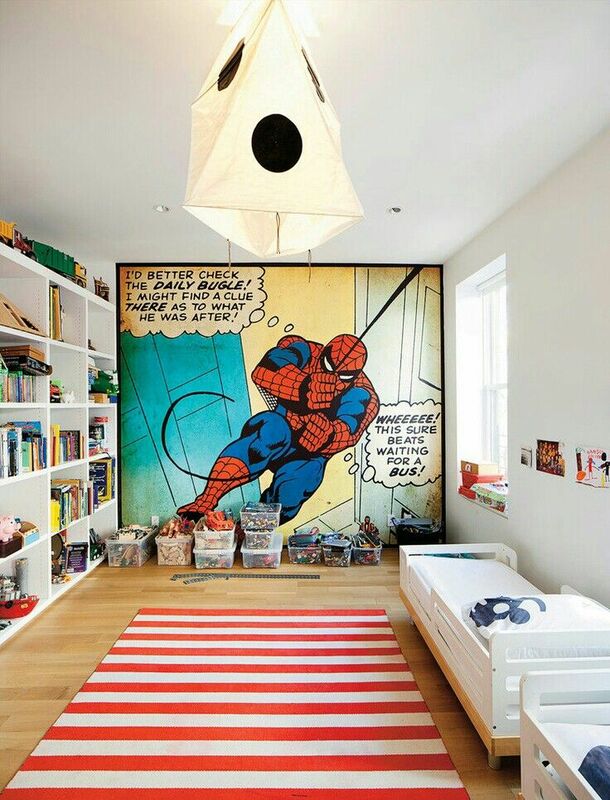 Wall murals bearing images of musical icons, or characters loved by a teen, or animals are an all time favorite with most teens, and now, you, as a parent must think of ways to improve the look of your kid’s room whenever you get a chance. The teenage bedrooms shown below look impressive and offer you enough ideas that you can use to stylize your teen’s room uniquely. A few bedrooms have gone for a chic makeover by painting the walls purple with highlight offered by cool paintings hung right above the bed, while, others have owls printed on the wall to add more fun. 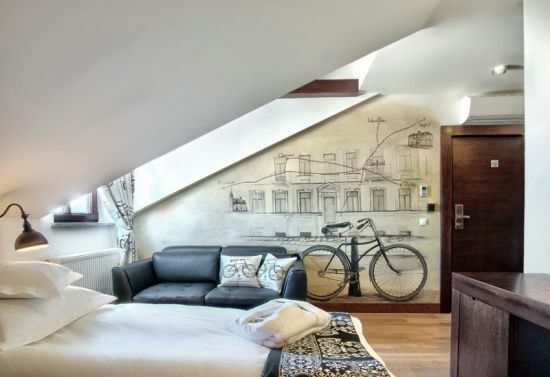 One bedroom looks quite trendy with an image of a cycle and surrounding street in black and white. 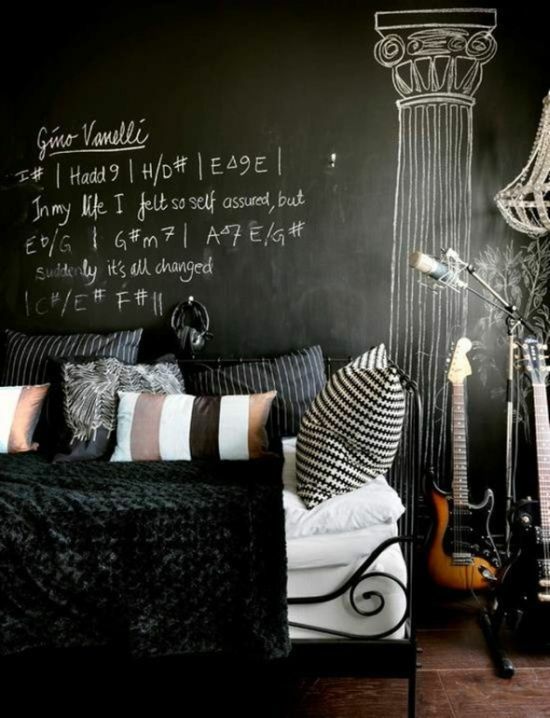 Chalkboard walls too are popular with most teens these days as also are graffiti walls. 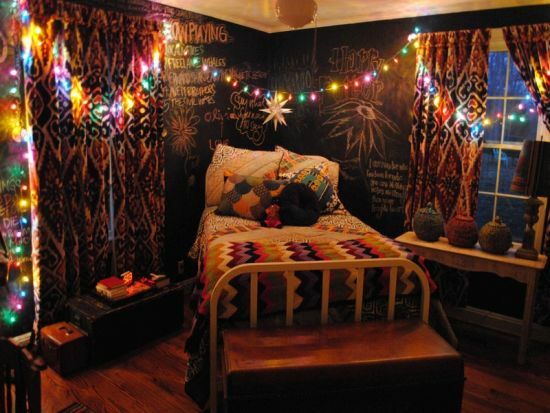 Look at these awesome teenage room ideas and get inspired! Teen bedroom decor for teenage girls are a little different than teen boys as girls want their bedrooms to look more friendlier and feminine. 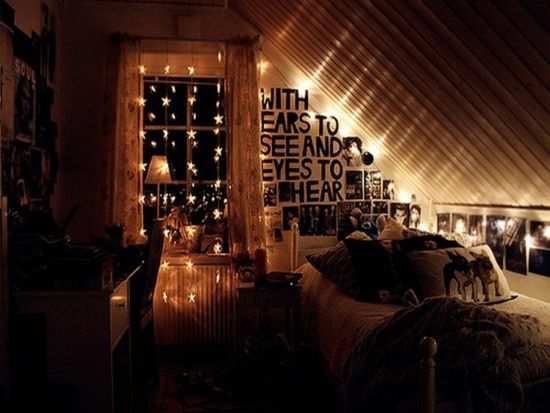 However, do not be surprised to find your teenage girl wanting her room to be decorated with a sporty theme or one that is usually associated with boys as a teen’s tastes and whims keep changing periodically and a thing or an element that was once loved by her would now seem too boring for her vivid tastes. When it comes to choosing the best teenage room ideas for girls, there are hundreds of options offered, ranging from simple to more intricate. But, its a suggestion that a parent consults his or her ward before finalizing on one particular decor idea as you do not want your kid to be left disappointed on not seeing the right kind of style that she wanted in her bedroom. From decking up a girl’s bedroom with a rock n roll theme, to a beach inspired idea, to gussying up her bed corners with a vintage looking mannequin draped with pearls and satins, to adding a funky look to her vanity area, there are 100 different ways to decorate a teen girl’s bed room. Teen bedroom decorating ideas for girls must always feature pleasant and charming elements like the ones showcased below. Decorating teenage bedrooms isn’t a joke! A teen undergoes a lot of changes not just emotionally, or physically but taste wise too. A growing teenager keeps changing his or her tastes, not just in the clothes or accessories, but also how his private room must look. As such, you as a parent must be aware of this change and bring along certain additions to his bedroom decor that will not go unnoticed. 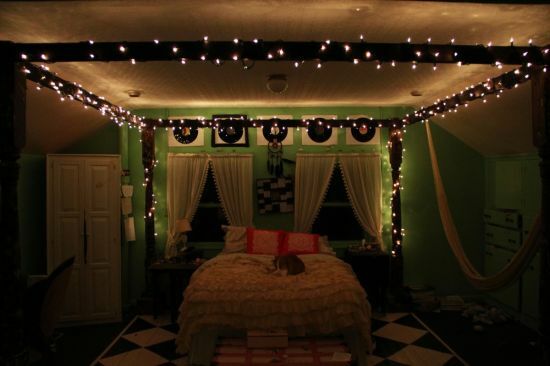 Sting lights or fairy lights as we call them, add to the glamour of a room and your teen would thank you for stylizing his or her room provided you choose the rocking teen bedroom ideas that are showcased below for all parents. There are plenty of ways you can deck up a bedroom of a teenager using fairy lights like put them behind the bed as a headboard, or layer up the draperies with these twinklers. With these cute lights, you can create the most lovely designs on walls and add fun. Like string lights, photographs too can bring a total make over in a bedroom of a teenager. Just pick some old pictures of your childhood and hang them over your vanity or behind your bed. You can also have a combination of both these elements to have a whimsical appearance for your teen’s bedroom. For a teen boy or a girl, sports means much more than just appreciating a game of cricket, or football and playing it on the fields with friends. Its all about sharing camaraderie with peers and building team spirit. 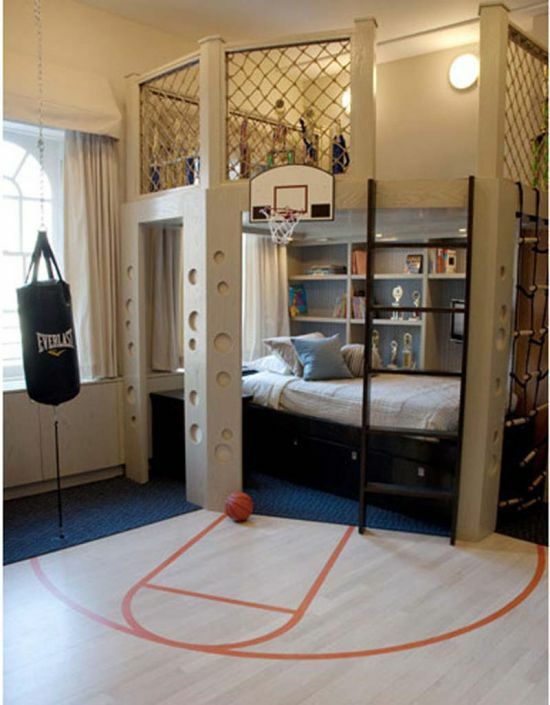 Hence, decorating his or her bedroom with a sports theme goes a long way in establishing a healthy bond with your kid. If your teen boy loves the game of football, stylize his nooks with walls dedicated to this game while his corners can be adorned with footballs stored randomly all over. 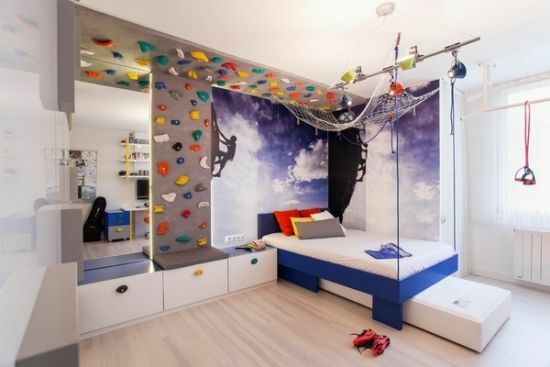 If a teenage girl likes swimming or rock climbing, create an accent wall with graphical designs of a swimming pool or a wall that can actually be utilized for artificial rock climbing. Everyday sports gear like basketballs and rackets can be kept neatly to create a sporty look. 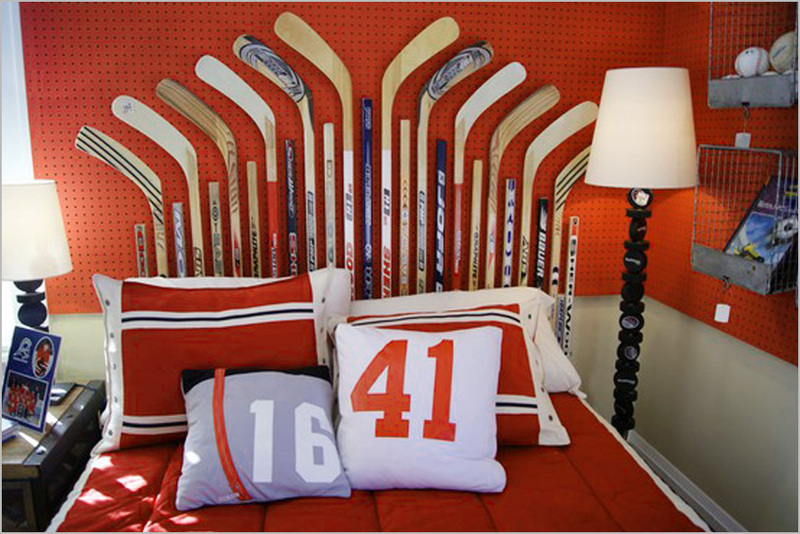 Most teen boys are possessive about their trophies and sporty jerseys that can all be displayed at a corner or on walls of bedrooms. 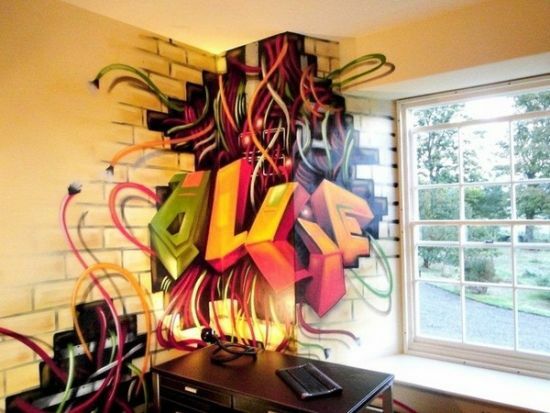 Look at the awesome teenage room ideas that will leave you awestruck! Vintage means any element or aspect that was in vogue during the 40’s, 50’s and 60’s. Now Vintage can be brought to your teen’s bedroom in many innovative ways, specially if your teenage girl likes pretty pastels and pinks in her room. For a vintage inspired bedroom decoration, you can use color palette that has lots of baby pinks and earthy shades. Try hanging pretty girly dresses on the wall behind the bed, and place antique vanity in her bedroom. Adorn her bed with satiny and floral printed bed sheets and covers. Even the walls can have floral accents on them to create a feminine look. 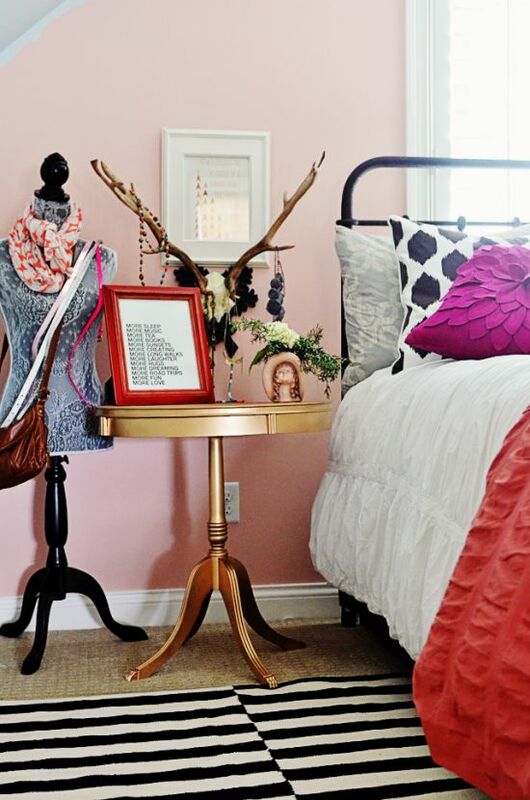 A color combo of white and pink goes well when going for a vintage themed teen bedroom decor. 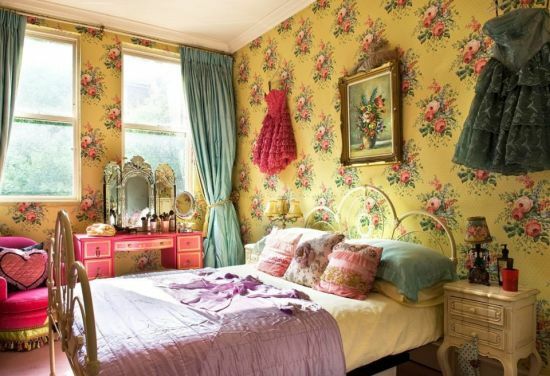 Right from draperies to cupboards to cabinets, everything in a vintage bedroom must bear a feminine charm. 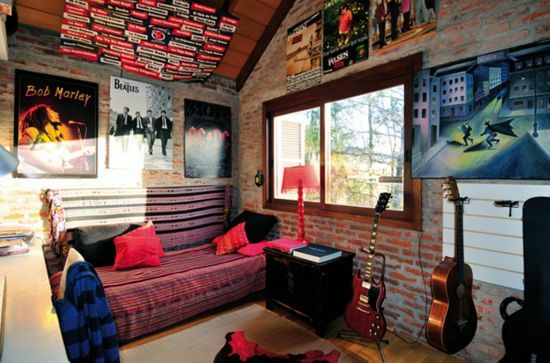 A teenage boy wants his bedroom to look like a zone where he can enjoy with his friends and have a relaxing time away from others. A teenage boy needs his own space and parents must understand the importance of decorating his bedroom as per his likes, and not what others would like. As such, they must search for a lot of ideas that are given by modern decorators that are the best people to guide them in choosing the coolest decor ideas for teen boys. 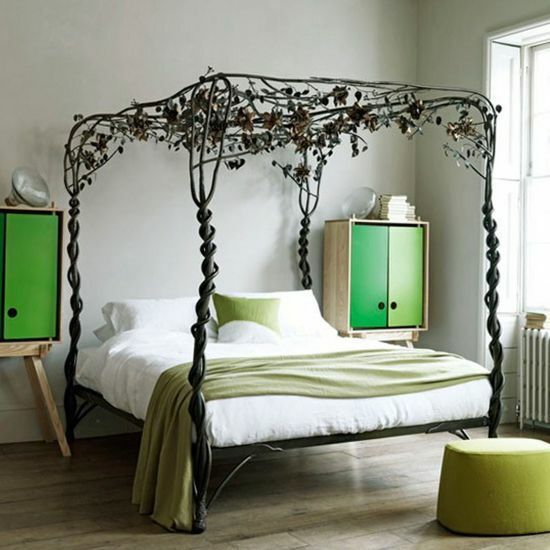 Choose such decoration ideas that make his bedroom not just comfortable but also stylish. Go in for a sporty theme that has been discussed above, or in case your boy loves the beach, stylize his personal space with a sea side image imprinted on the walls. Place rubber tubes on the walls or have a boat replica that he literally worships. Like this there are many other cool themes you can choose like a rock n roll theme for an edgy look, or steam punk if your boy likes ‘funk’! Whatever you do, just never opt for such decor ideas that look bland and too boring for your teenage children. Plain is good, but when you are decorating your teen’s bedroom, its the bright color palette that must be chosen in all the aspects or features. Right from choosing a fun wall color, to wall murals, to flooring, to vanity, to cupboards or shelves, everything must bear a vibrant look for your teen to feel energized and relaxed. Teens differ from one another with respect to their likes and personalities, and as such, parents must keep this fluctuating change in mind before going ahead with bedroom changes. 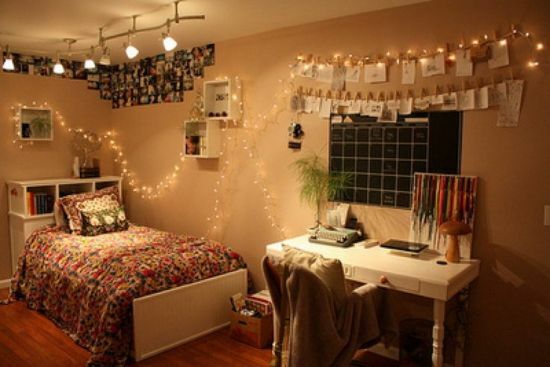 Be more open and imaginative when choosing decor ideas for your teen’s bedroom and make the room look lively. From installing chic and futuristic furniture like hanging beds, or swing seaters or wall mounted fish aquariums, to having fun graffiti walls and geometric flooring, there are endless ways to add on to more fun and cheer to a teen’s bedroom. Keeping this fun aspect in mind, we have tried to bring some unique teen bedroom ideas below that you must see carefully. Life’s most whimsical and the best phase has to be the teens when you are ready to take on the challenges with a brave front. Its the ‘wonder years’ as most of us would call it and hence, has to be very special. Teens want their space to be filled with comforts and style is one thing that cannot be compromised when decorating their bedrooms. Both teenage boys and girls need fun settings in their rooms and you the parent must think of cool ways to add zing to their bed rooms. Make it smart, sassy and energetic by following these 35 teen bedroom ideas that will blow your mind no doubt!